Species of Tree — Some trees grow more quickly than others and respond differently to pruning. This particular part of tree trimming theory and technique varies a great deal according to the physiology of each species. Age of the Tree – Some trees reach maturity and start to die off. 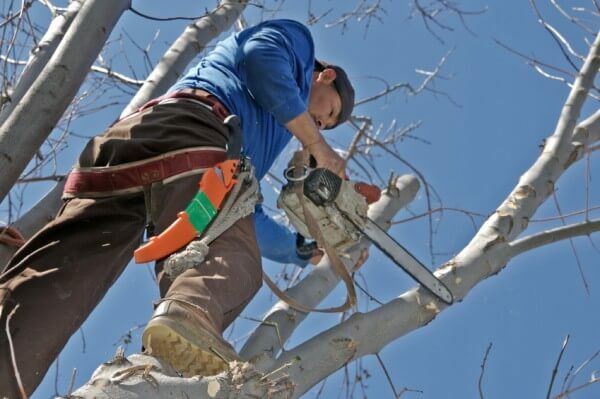 At this point, especially with trees like sycamores (a popular Austin shade tree), cutting back dead branches starts to become a safety issue for you and your neighbors! Time of Year – Live oaks and other oaks are favorites in the Austin area. However, with the danger of oak wilt, oaks should never be trimmed between April and October, when oak wilt pathogens are thriving. Flowering ornamentals such as dogwoods, mimosas or crape myrtles should only be trimmed after the blooming season is over, otherwise you may cut back buds and inhibit the tree’s flowering beauty. Other species have guidelines as to pruning technique or time of year – it’s best to leave it to an Austin tree trimming pro who does it for a living. Knowing Where To Make The Pruning Cut – Unlike animals, plants can’t regenerate tissue. A cut that’s made too close or too far away from the trunk will make it harder for the tree to “compartmentalize” the wound, making it more susceptible to fungus, disease or insect infestations. Again, there’s a definite theory and technique to knowing how and where to make the cut, best let up to an Austin tree trimming professional. 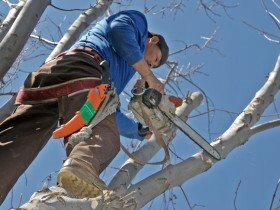 Working Safely — A heavy branch can kill in an instant. 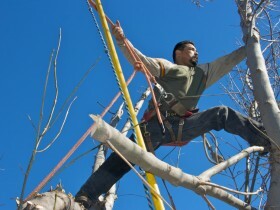 That’s how serious working safely is when it comes to tree trimming in Austin. If you think it’s too big a job for you to take on, you’re probably right. 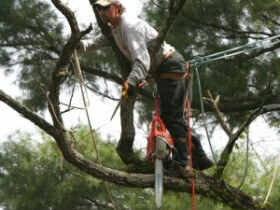 Trust your instincts and call qualified, insured Austin tree trimming professionals for a big tree trimming job. It’s not worth the risk otherwise; nothing is more important than your safety.